Each one of our staff and members of our board lead projects, our friends and sponsors at iVision not only put a team together to volunteer at Helping Mamas, but they also joined Jay Cranman, Hands On Atlanta President and CEO on a guided tour of 3 projects, filming the entire adventure (coming soon). Almost 150 task leaders and Hands On Atlanta Civic Leaders stepped up to lead teams and oversee specific project tasks. Hey, someone had to show all these volunteers how to build the bench and plant the tree! Around 10:00am we were the top trend on Twitter (lasting until almost 4:00pm) and that was thanks to everyone sharing their service! Over 100 volunteers stopped by the Delta Vacations pop up projects along the Beltline. Our new friends (and gracious hosts) at New Realm Brewery gave us the green light to experiment with this wild idea of 4 nonprofits - Atlanta Beltline Partnership, Trees Atlanta, Park Pride, and Hands On Atlanta all coming together to build park benches and bikes, pull weeds and paint terra cotta pots. The team at 48in48 lead a design day, where skills based volunteers came together to create an awareness campaign, highlighting some of Atlanta’s biggest challenges and how you can help be a part of the solution (coming soon). 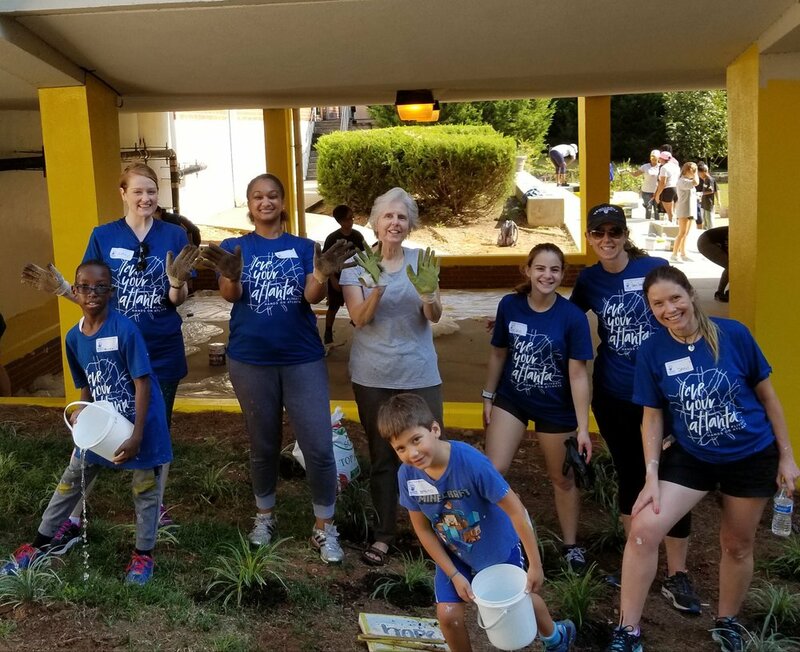 Our Changemaker Board of young professionals volunteered at Frank L. Stanton Elementary, while for the first time ever, we had all of the Hands On Atlanta Discovery program sites buzzing at 8 partner schools across metro Atlanta. That means parents were engaged, volunteers tutored and mentored, and more than 500 kids had fun doing STEM activities! And who could forget the Hands On Atlanta Day Kick-Off Party at the Monday Night Brewing Garage on Wednesday?! 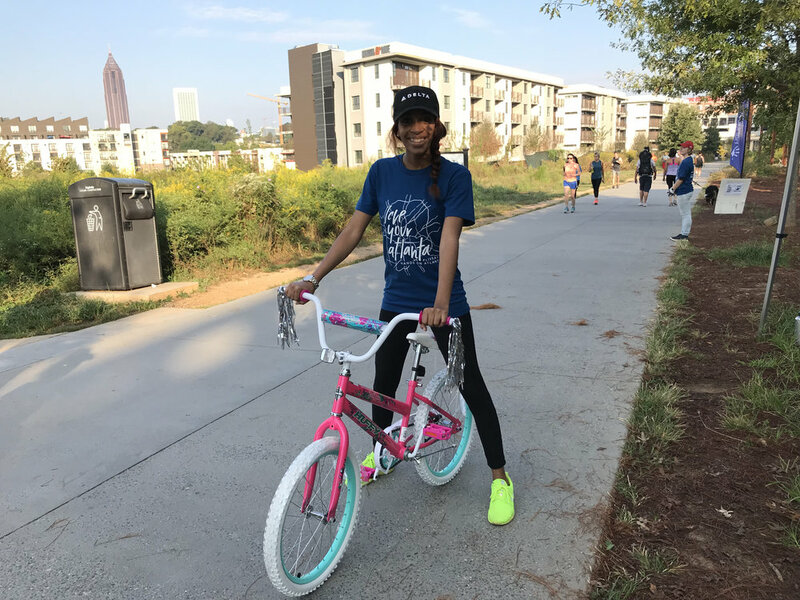 300 ATLiens came out for brews and fun, 20 nonprofits showed off the awesome work they’re doing, and we unveiled our volunteer t-shirt design contest winner! Thanks to all the designers, the sponsors and judges, and of course YOU for more than 1,600 votes to help determine the final 5. There’s more, so many more incredible, selfless individuals who helped pull off another impactful Hands On Atlanta Day. Thank you to everyone, it really does take a village. This was year 29 of Hands On Atlanta Day and we’re already looking forward to seeing so many of you back for our “dirty” 30 next year. Stay tuned!